Paloma a Fuego literally translates to “Dove Afire”. Now, before you go calling PETA, no doves were harmed in the making of this libation. No doves even came close to this drink. I’m afraid of doves, actually. Paloma cocktails are a gift from our Mexican friends and are perfect for the hot weather ahead. Unless you live up North. I don’t think you’re going to get Spring this year. Summer is still up in the air too. But, in the event Mother Nature decides to do you a solid and you get a week of hot weather- this is your libation. 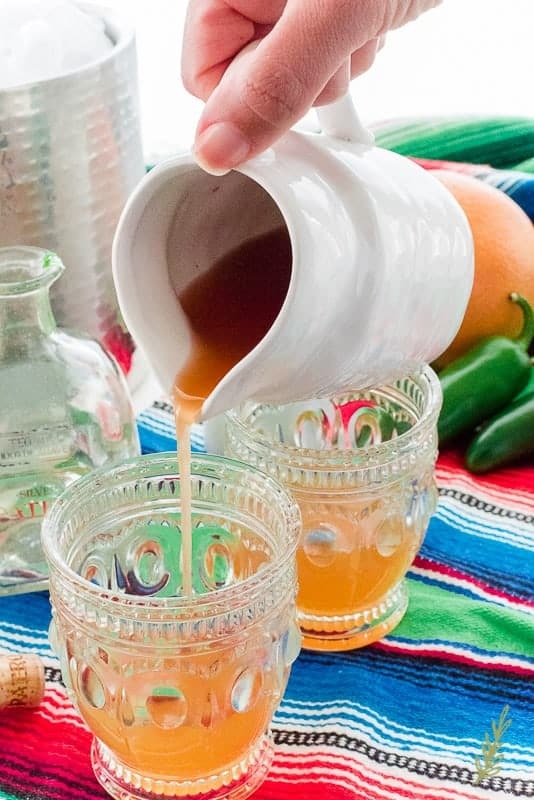 With Cinco de Mayo being, quite literally, right around the corner, this is a perfect drink to toast with. 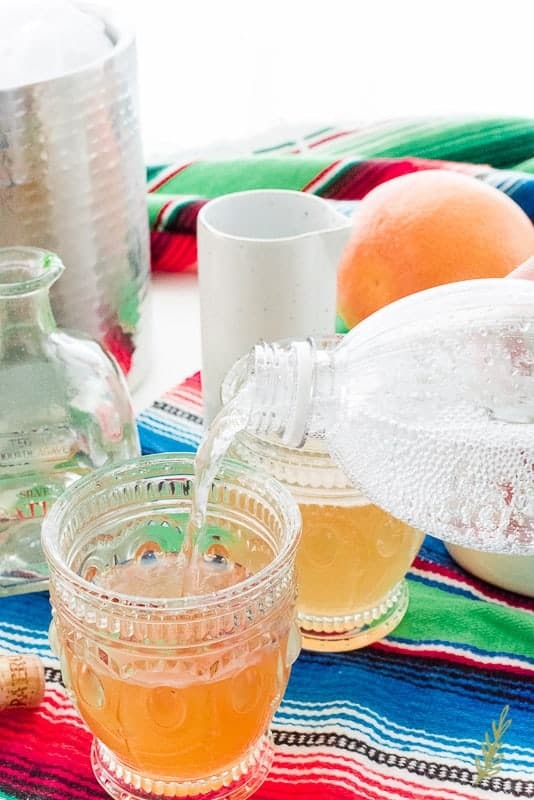 The Paloma is basically a grapefruit soda cocktail with a tequila base. It’s citrusy and refreshing- not at all heavy- so it’s perfect for swelteringly hot days. Well, that is, if you don’t go pounding them like a bunch of Army medics. The tequila in this drink is subtle, but it’s still tequila, so drink responsibly. If you like salt, salt the rim of your cocktail glass. I’m not a fan of salted rims on anything but a margarita glass, so the salt in my recipe is mixed in with the drink. The jalapeño is optional if you’re not tolerant of spice. It does add a unique twist to this classic, but it’s not essential. Made with grapefruit soda or freshly-squeezed grapefruit juice, the paloma is inherently sour. The “a fuego” moniker of my paloma, however, is a nod to the sugar-coated, broiled grapefruit juice I’m using instead. I’m not crazy about grapefruit unless it’s broiled with brown sugar. I always purchase ruby red grapefruit for their sweetness. Pink and white grapefruits are too sour for my tastebuds, and quite frankly, are not worth the money. Even with the sweeter varieties, I have to crave it to eat it. I’d much rather drink it…in a non-AA type of way. Choose a grapefruit that feels heavy for its size and one that has a firm flesh. One large grapefruit should yield enough juice for four of these palomas. If you are making them for a larger party, cut a few of them and broil away. This recipe is easy to double or triple. Slice it in half, then pat to dry the surface of the flesh. 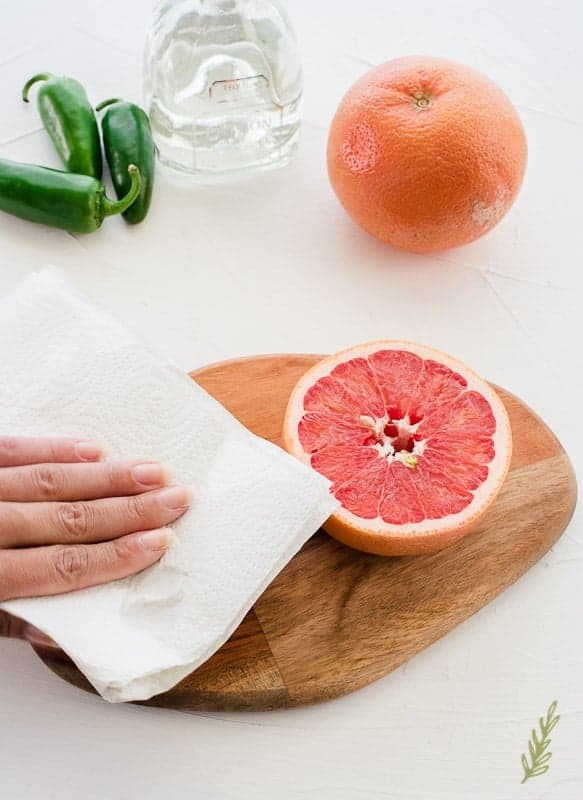 In order to get a good broil on an otherwise juicy grapefruit, you need to begin with its top being as dry as possible. 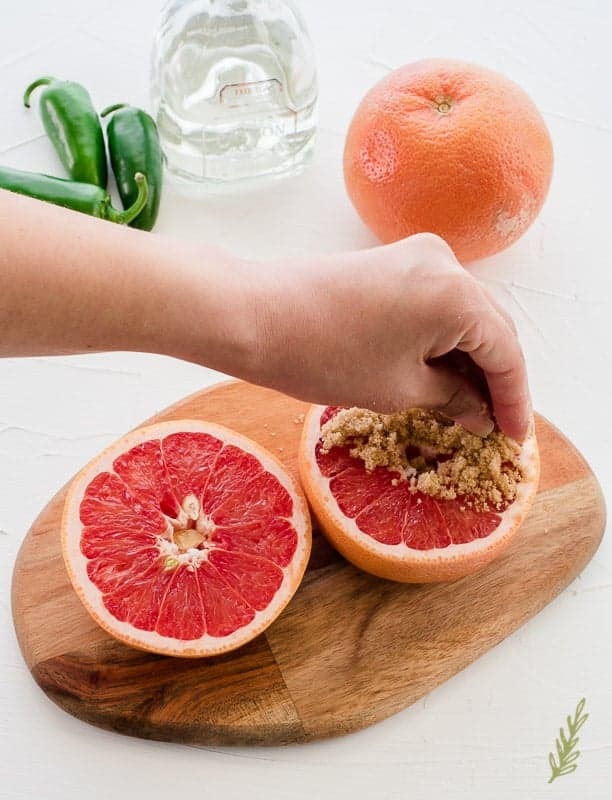 Once you’ve patted your grapefruit halves dry, cover them in a thin coating of light brown sugar. Use your fingers to spread the sugar into an even layer. You want the sugar to broil evenly and not leave behind any unmelted lumps of sugar. Prior to broiling your grapefruit, allow them to sit for ten minutes. This allows the fruit’s juices to soak the sugar and create a crust. Once your ten minute crusting time has elapsed, place your sugared grapefruit halves on a sheet pan and broil on low for ten minutes. Keep a close eye on the fruits- you don’t want the sugar to scorch. For me, the caramelization that results from the broiling of the sugar-topped grapefruit adds an unmistakably smoky taste to this drink. It also tones down the bitterness of the drink, overall. If you want a more crisp finish in your cocktail, omit the sugar or the broiling altogether. For parties, I try to cater to both preferences by making half with this broiled, sugar fruit and half with raw grapefruit juice. It really is about your personal tastes. This is great time to begin the jalapeño simple syrup. Once they’ve browned nicely, remove them from the oven and allow them to cool for ten to fifteen minutes. Use a citrus juicer to extract as much of the sweetened juice as possible; strain the juice if needed. 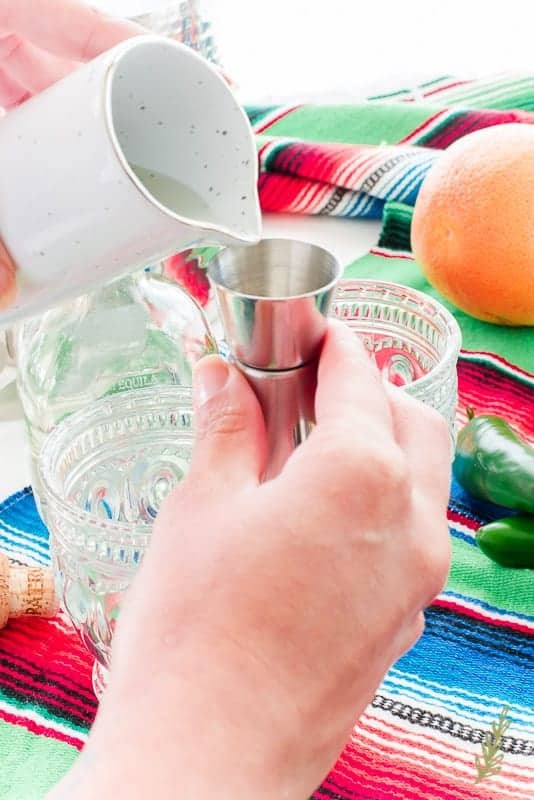 Pour the juice into a cute pitcher for serving later. To make the spicy simple syrup, all you need is equal parts sugar and water. Add both to a small pot and crank up the heat to medium-high. When that comes to a boil, add a large, cut jalapeño. Uniformity and precision are unimportant, as the pepper will be strained and discarded. It is important, however, to make your slices thin/narrow so they can steep into the syrup as much as possible. I sliced my jalapeño in half lengthwise and cut the halves into fourths. You can also thinly slice the pepper into rounds. Add your cut jalapeño to the sugar-water mixture- seeds and all. But, if you want a milder pepper kick, remove the seeds. Bring this mixture to a boil, stirring once or twice to make sure the sugar is fully dissolved. Once the mixture comes to a rapid boil, remove it from the stove and allow it to cool completely. 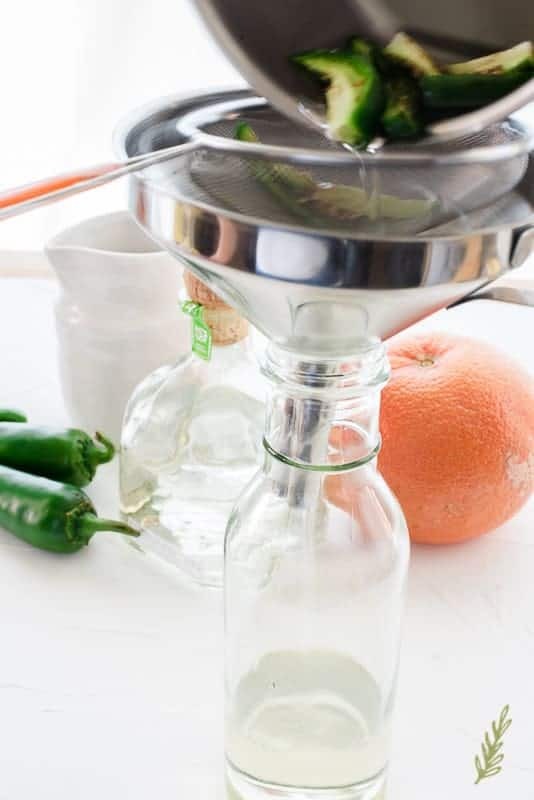 Use a strainer, placed inside of a funnel to transfer the jalapeño simple syrup to a jar. I typically make this simple syrup in bulk and store it in a glass jar with a twist cap. When I’m ready to make my cocktails, I pour it into a cutesy little jar that I set out on the bar. It’s time to mix our “dranky-poo”!! I know, right!?!?! That was a breeze to prep! To create this spiced-up paloma, you’ll need a double old-fashioned glass (or 13oz) glass to make room for the ice and the rest of the ingredients. Don’t try to use a smaller, single old fashioned glass…not that I know from experience, or anything. I’m just sayin’. 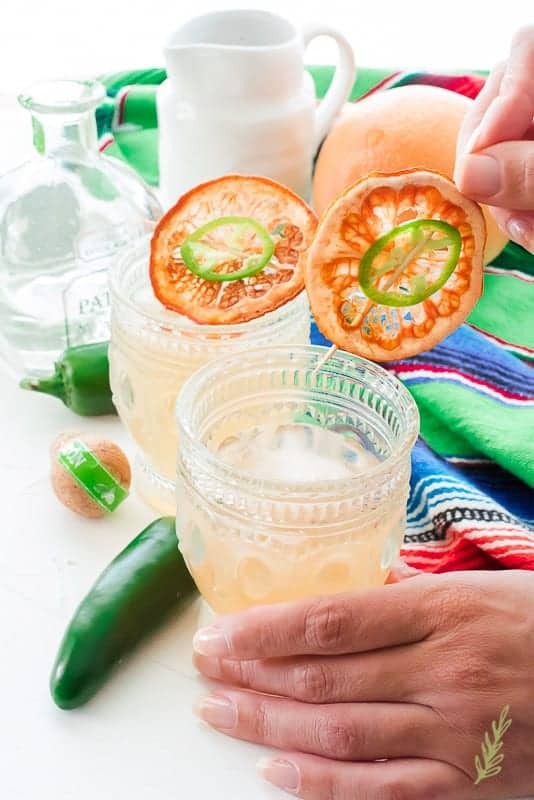 Pour a half-ounce of the jalapeño simple syrup into your glasses. If you prefer a sweeter libation, add a full one ounce jigger of the syrup; if you’re not into sweet, use less. Along with the simple syrup, add a tiny pinch of kosher salt. This will amp up the flavors and cut through any sweetness. 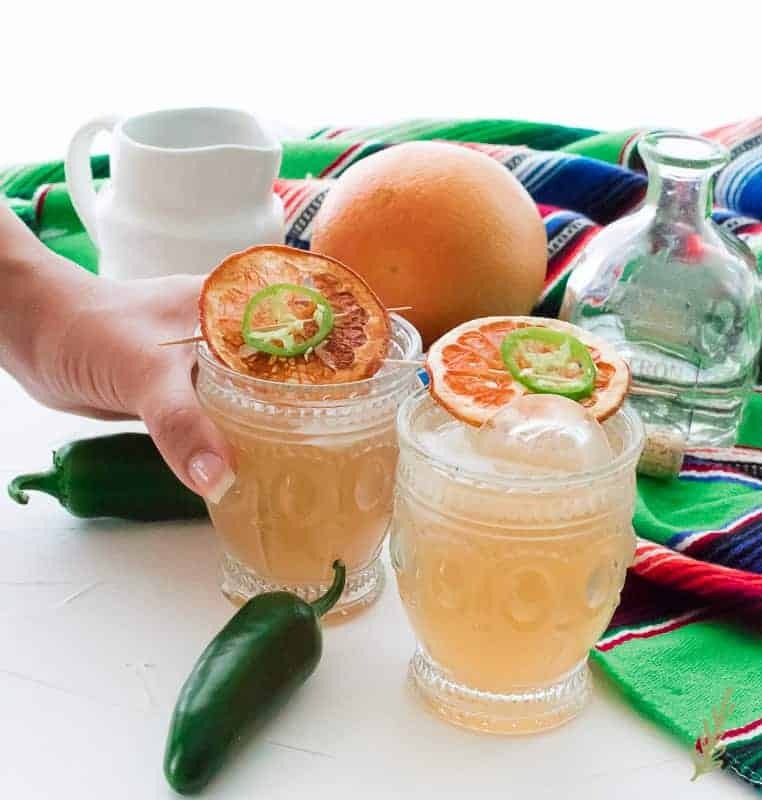 One of the key ingredients in this recipe is tequila. Because it’s such a prominent taste, you need to use a quality tequila- the best you can afford to mix. As a college student, my name was synonymous with Jose Cuervo. Suffice it to say there’s a reason why JC’s Reposado is so cheap. There’s also a reason why just a whiff of it makes me shudder. A silver, or blanco, tequila is needed for this drink. 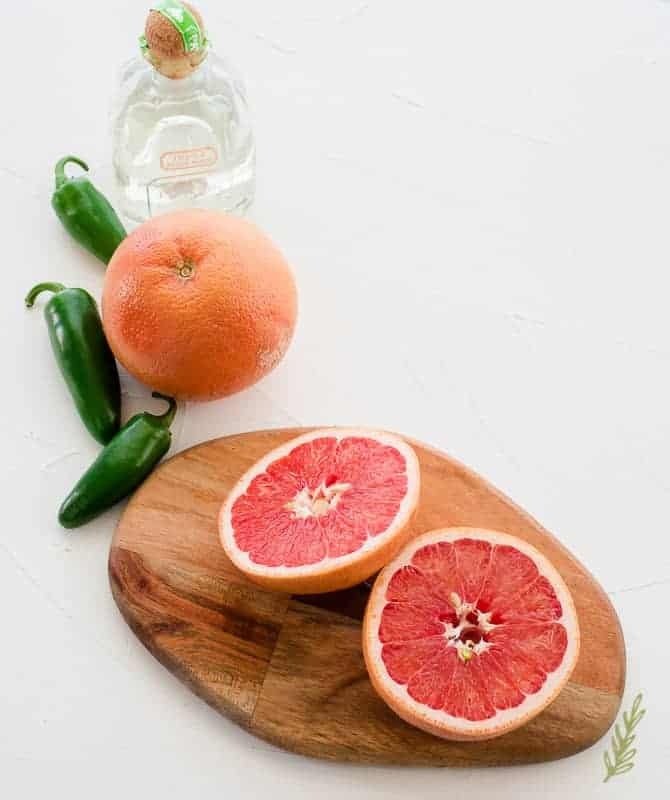 You don’t want to alter the flavors of the grapefruit, or the jalapeño, with the woody, aged taste of an añejo or reposado; both of these are aged in the wood barrels of other spirits. A light tequila flavor is what you need. 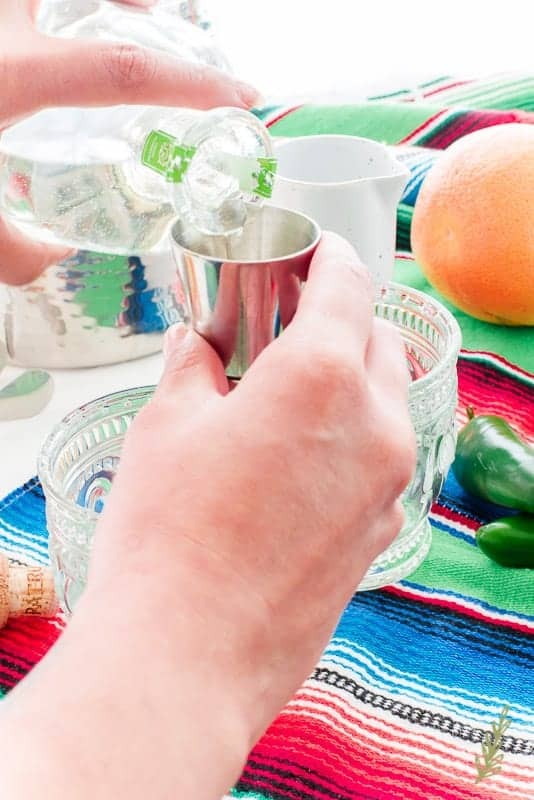 I’m using Patrón Silver because I like the way it tastes on its own, and also because I don’t use extremely expensive spirits when mixing cocktails. Add an ounce and a half of the tequila to the glass. If you’re married to the Soldier, add two. But, if you are married to him, let’s you and me have a little conversation. Naw, if you are married to someone like the Soldier- is what I mean- boost up his cocktail. If you’re inviting your friend who gets tipsy when she drinks wine coolers- stick to a half-ounce. She might tear your house up. Now pour in a quarter-cup of your bruleed grapefruit juice. Follow that up with seltzer, club, or tonic water- any water that’s carbonated will work. Mix these together gently, and add ice to the glass. 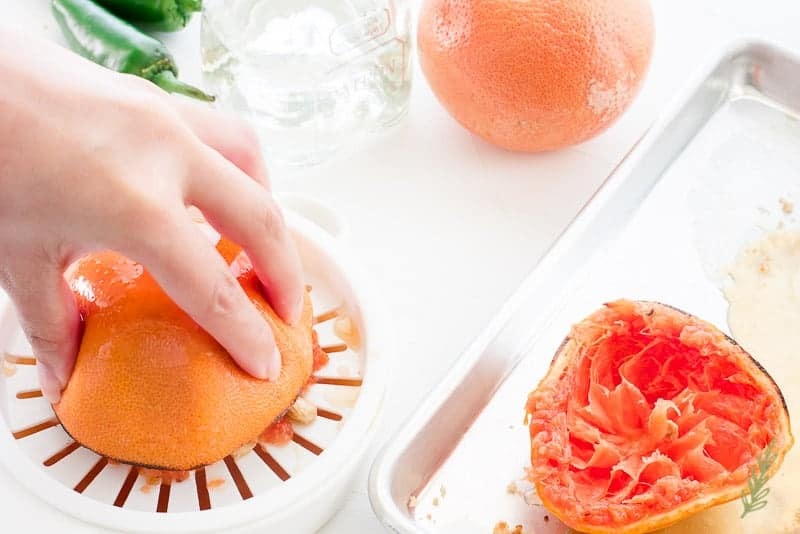 Garnish your cocktails with peels from the grapefruit, jalapeño slices, or the oven-dried grapefruit slices pictured. I placed thinly sliced grapefruit rounds onto a silicone baking mat-lined sheet pan, then baked them at 250°F for 20 minutes, flipping once during the baking. They come out tasting like sweet grapefruit chips! Place a thinly sliced jalapeño into the center of your dried grapefruit slice and thread a large toothpick through the round. You are so fancy!!! You can’t tell me your guests won’t be excited to try this modern version of the Mexican Paloma at your next soiree. 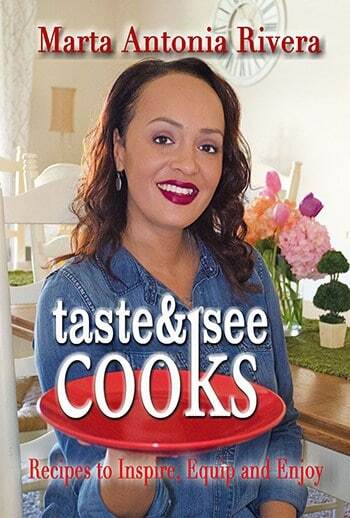 I had a great time creating (and taste-testing…hiccup!) this crisp libation, so I know you’ll love it as well. Pin this for your next shindig and enjoy responsibly! Customize this recipe to fit your tastes. Omit the spice by using plain simple syrup. 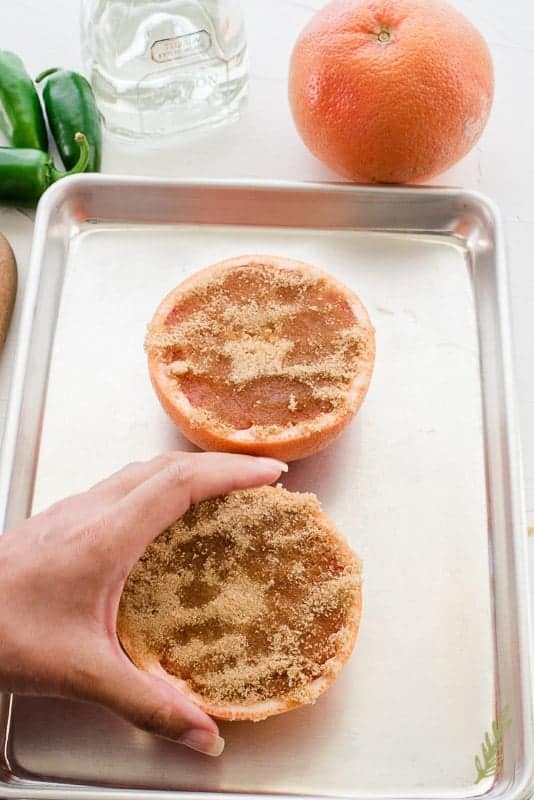 Pat the grapefruit's surfaces dry, then spread 1 tbsp of the brown sugar on each half. Use your fingers to spread the sugar into an even layer. Allow them to sit for ten minutes. 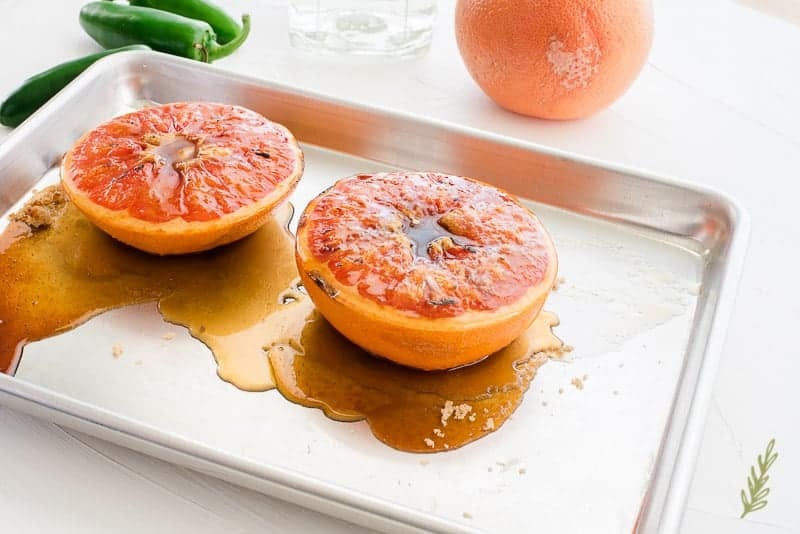 After ten minutes, place your sugared grapefruit halves onto a sheet pan (sugared-side up) and broil on low for ten minutes. Keep a close eye on the fruits- you don't want the sugar to scorch. 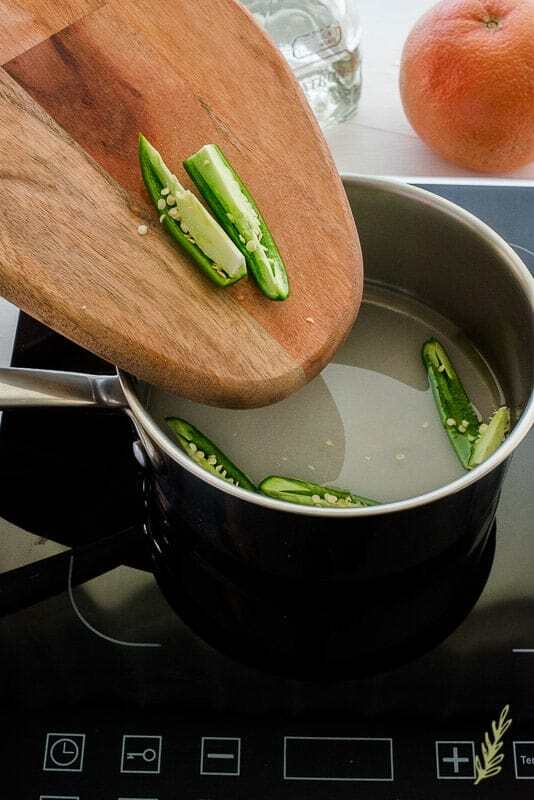 While they are broiling, make the jalapeño simple syrup. 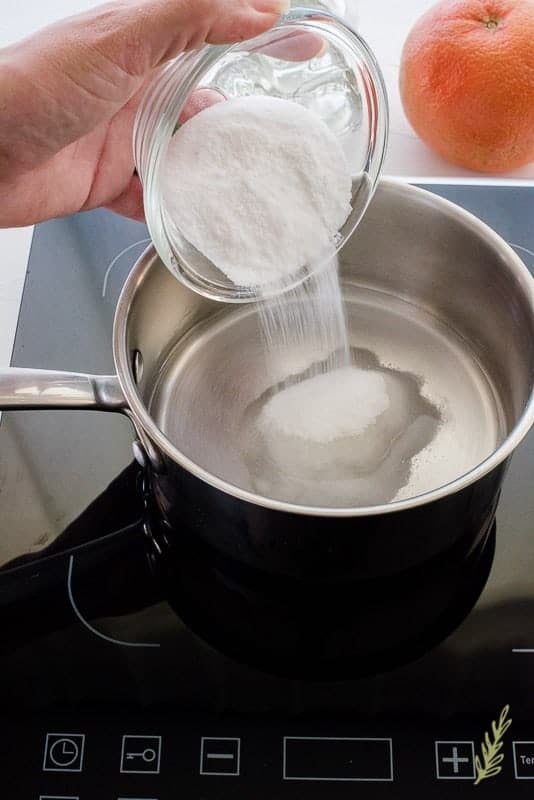 In a small pot, combine the water and granulated sugar. Add the cut jalapeño, including the seeds for more spice. Bring the mixture to a boil over med-high heat, stirring to dissolve the sugar. 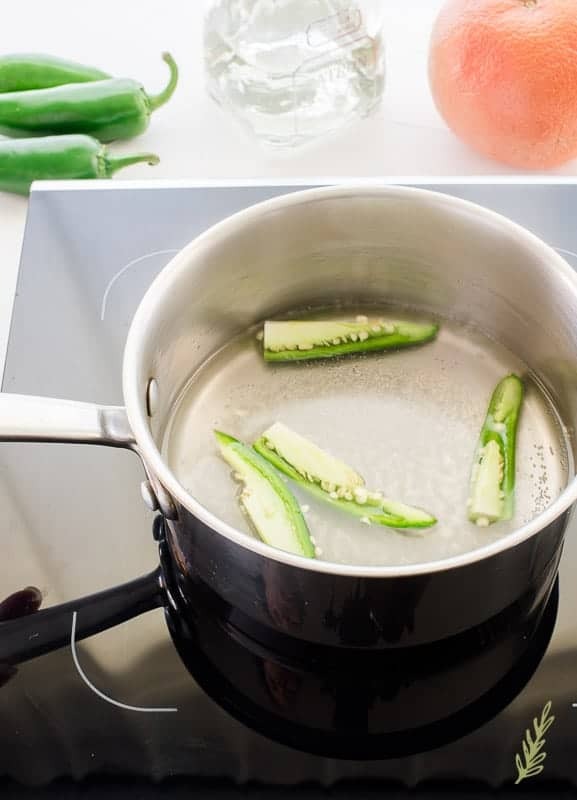 Once the mixture comes to a rapid boil, remove it from the stove and allow the jalapeños to steep while it cools completely. Once the grapefruit halves have browned nicely, remove the pan from the oven and allow them to cool for ten to fifteen minutes. Use a citrus juicer to extract as much juice as possible; strain the juice if needed. Pour the juice into a pitcher and allow to cool. Once the simple syrup is cool, use a strainer, placed inside of a funnel to transfer the syrup to a pitcher. Pour a half-ounce of the jalapeño simple syrup into an double old-fashioned glass. Along with the simple syrup, add a tiny pinch of kosher salt. Add an ounce and a half of the tequila to the glass. Pour in a quarter-cup of your bruleed grapefruit juice. Follow that with a 1/2 cup of the seltzer, club, or tonic water. Mix these together gently, and add ice to the glass. Garnish your cocktails with the grapefruit or jalapeño slices, and enjoy responsibly. 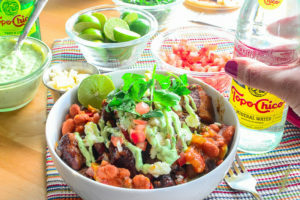 Want more Cinco de Mayo recipes? Now, this is one fancy drink!! This sounds so yummy and worth trying at our next adults-only get together. Believe me, Ayanna, it looks WAY fancier than it really is. I think it’ll be hit at your next soiree. Yum! That brûléed grapefruit alone has my mouth watering! Pinning this for later! This is probably one of the best drinks I’ve created, Kate…although, I said that about the last drink. And the one before that…LOL!! This looks and sounds absolutely amazing!! I definitely will be giving this recipe a try asap! I hope you love it as much as we do, Kristeena! 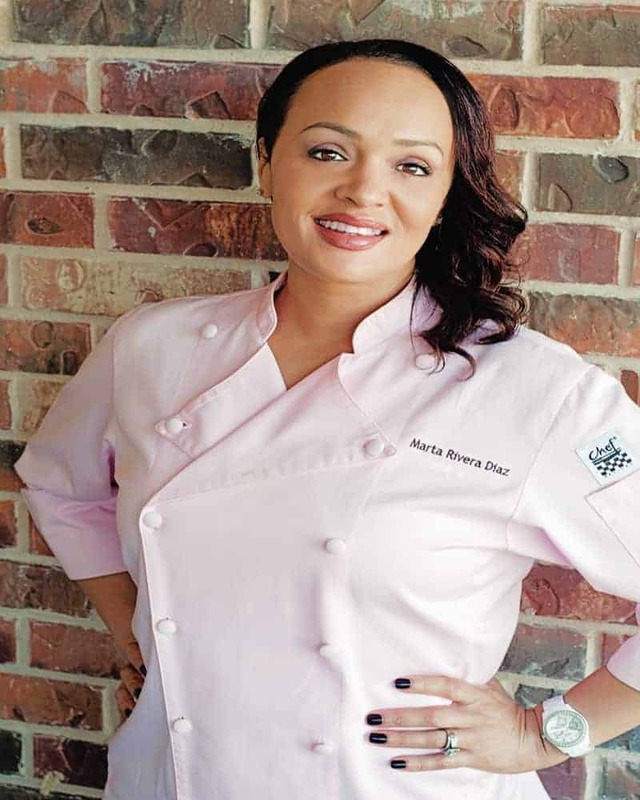 Oh my goodness, that bruleed grapefruit juice look so yummy! These look like such a fantastic cocktail to make for a group of people you love! I agree, Jenni! You can’t go wrong with this one! I looove grapefruit!! What a perfect drink to try for entertaining and as the weather warms up! Yes! 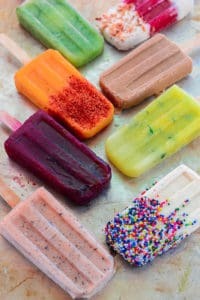 It’s perfect for those hot summer days! Love it! Will have to substitute something other than tequila. I ruined tequila for myself in my teens, lol! HA HA HA!! I hear ya, Julie! Like I said, my name was once synonymous with Jose Cuervo. The Patron Silver is milder than those añejos and reposados though. These drinks look so pretty- and I especially love the glassware! Thanks Raina! I think I picked these up at World Market. This drink looks like it would be so tasty! I don’t really dabble in making my own drinks but maybe I should start. You definitely should, Becca! Once you get the gist of how to compose a cocktail, all that’s left to do is allow your imagination to run wild! Now this is my kind of cocktail! I absolutely love spicy ones! Me too, Marissa! Anything to shake things up a bit! 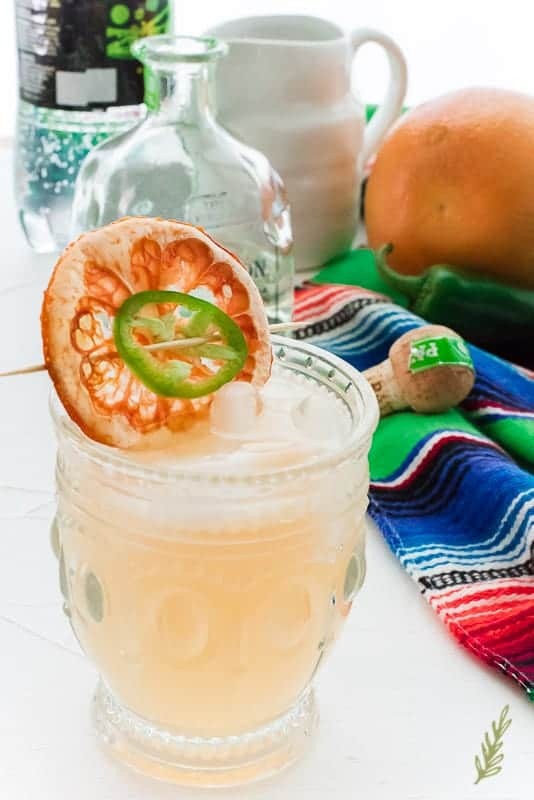 I made the Paloma a fuego for some friends recently and it was absolutely delicious and surprisingly very simple to make. Everyone who had a glass or stole a sip of it commented on how it reminded them of those lazy hot summer days and sitting on the porch with a refreshing drink in hand. It was that good, my friend. I will be making this again and trying your other recipes as well. Isn’t it amazing when a recipe transports you? In a good way, I mean, LOL!! I’m so glad you all enjoyed it, Risha!